Most of us are not aware of the Technical advancements that India has achieved now.This article of Arun Shourie made me feel proud of my country. So I felt like sharing it. Twenty to twenty-five years ago, even 10 years ago, few of us had heard of Information Technology. Today, exports from this industry are worth $10 billion — that is, over Rs 45,000 crore a year. That figure is 20 per cent of our total exports. In spite of the fact that each of the markets to which we supply IT software and solutions has been in the trough of recession for years, IT exports have grown by 26 per cent this year. Infosys had not even been born 25 years ago. Wipro was a company selling vegetable oil. Indeed, other than the ‘‘Tata’’ in Tata Consultancy Services, there is scarcely a name in the IT industry that was known then. And guess what the average age is in the industry? Just 26 and a half! These 26/ 27-year-olds have changed the world’s perception of India. It’s not just a country of snake-charmers, it’s a country against which protectionist walls have to be erected. Of course, we can also charm snakes. And not just, to pluck a phrase of Malcolm Muggeridge, snakes in snakes’ clothing! And these 26-year-olds are changing India’s perception also of itself: that India can; that, therefore, we should face the world with confidence. But the game is hardly over. That world-class hardware can be produced in India is evident. How many of us would have heard of Moser-Baer? Located in unprepossessing Noida, it is the world’s third largest optical media manufacturer, and the lowest-cost producer of CD-Recorders. Its exports are close to Rs 1,000 crore. The firm sells data-storage products to seven of the world’s top 10 CD-R producers. And it produces them so efficiently that, to shield themselves, European competitors had to file an anti-dumping case to stop and penalise its exports to Europe. Moser-Baer fought on its own. And won. A firm most of us have not heard of. A firm that is manufacturing products at the cutting edge of technology. A firm exporting Rs 1,000 crore of products that require the utmost precision and technological sophistication. A firm that European firms fear. And equally important — the very international fora that our ideologues shout are instruments of exploitation hold against European firms, and in favour of this Indian firm. There is more. Moser-Baer has acquired Capco Luxembourg, a firm that owns 49 per cent of a Netherlands-based CD-R distributor. And it has set up Glyphics Media Inc. in the United States—for markets in North and South America. And here we are being made to shiver at the thought that foreign firms are about to swallow us! Heard of Tandon Electronics? Its exports of electronic hardware are close to Rs 4,000 crore! * Fifteen of the world’s major automobile manufacturers are now obtaining components from Indian firms. dicate they will reach $15 billion within six to seven years. * One lakh Indica cars of the Tatas are to be marketed in Europe by Rover, one of the United Kingdom’s most prestigious auto-manufacturers under its — that is, Rover’s — brand name. * Bharat Forge has the world’s largest single-location forging facility — of 1.2 lakh tonnes per annum. 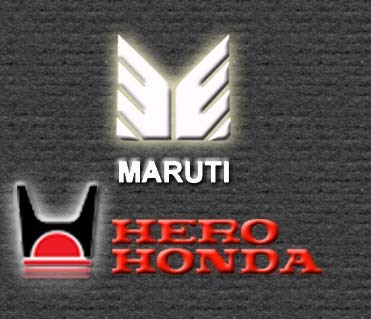 Its client list includes Toyota, Honda, Volvo, Cummins, Daimler Chrysler. It has been chosen as a supplier of small forging parts for Toyota’s global transmission parts’ sourcing hub in Bangalore. f the 22 countries in which it is present, including India. * Hindustan Inks has the world’s largest single stream, fully integrated ink plant, of 1 lakh tonnes per annum capacity, at Vapi, Gujarat. It has a manufacturing plant and a 100 per cent subsidiary in the US. It has another 100 per cent subsidiary in Austria. * For two years running, General Motors has awarded Sundaram Clayton its ‘Best Supplier Award’; the volumes it sources out of India are growing every year. * Ford has presented the ‘Gold World Excellence Award’ to Cooper Tyres. * Essel Propack is the world’s largest laminated tube manufacturer. It has a manufacturing presence in 11 countries including China, a global manufacturing share of 25 per cent, and caters to all of P&G’s laminated tube requirements in the US, and 40 per cent of Unilever’s. * Aston Martin, one of the world’s most expensive car brands, has contracted prototyping its latest luxury sports car to an India-based designer. This would be the cheapest car to roll out of Aston Martin’s stable. * Hyundai Motors India is about to become the parent Hyundai Motors Corporation’s global small car hub. In 2003, HMC will source 25,000 Santros from HMI’s plant in India. By 2010 HMI is targeted to supply half a million cars to HMC. It was only in 1999 that HMI got its first outsourcing contract and already, in 2003, 20 per cent of its sales will be what it supplies as an outsourcing hub. It is exporting cars to Indonesia, Algeria, Morocco, Columbia, Nepal, Sri Lanka and Bangladesh. * Ford India got its first outsourcing contract in 2000. Within 3 years outsourcing accounts for 35 per cent of its sales. Ford India supplies to Mexico, Brazil and China. The parent Ford is sourcing close to $40 million worth of components from India, and plans to increase these in the coming years. Ford India is already the sole manufacturing and supply base for Ikon cars and components. These are being exported to Mexico, China and Africa. * Toyota Kirloskar Motors chose India over competitive destinations like Philippines and China for setting up a new project to source transmissions as this option proved more economical. * Europe’s leading tractor maker, Renault, has chosen International Tractors (ITL) as its sole global sourcing hub for 40 to 85 horsepower tractors. * Tyco Electronics India bagged its first outsourcing contract in 1998-99. So successful has it been that components and products others have contracted from it already account for 50 per cent of its total sales. It supplies to the parent, Tyco Europe. * TISCO is today the lowest cost producer of hot-rolled steel in the world. * TVS Motor Company has been awarded the coveted Deming Prize for Total Quality Management. Many of the largest of organisations, even American ones—like GE—have not managed that recognition yet! India’s pharmaceutical industry has come to be feared as much as its infotech industry. It is already worth $ 6.5 billion and it has been growing at 8-10 per cent a year. It’s the fourth largest pharmaceutical industry in terms of volumes and 13th in value. Its exports have crossed $2 billion, and have increased by 30 per cent in the past five years. India is among the top five manufacturers of bulk drugs. Even more telling is another figure. We are always being frightened, ‘‘Multinational drug companies are about to takeover.’’ In 1971 the share of these MNCs in the Indian market was 75 per cent. Today it’s 35 per cent! * We are among the three countries in the world that have built supercomputers on their own, the US and Japan being the other two: two months ago, the fourth generation PARAM super-computer was inaugurated in Bangalore. of remote sensing satellites. Our INSAT system is also among the world’s largest domestic satellite communication systems. * India is one of the world’s largest diamond cutting and polishing centres. 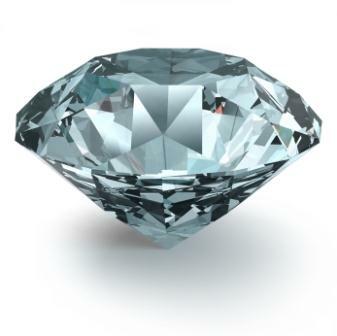 CLSA estimates nine of every 10 stones sold in the world pass through India. * Trade of Indian medicinal plants has crossed Rs 4,000 crore. Here is proof positive that liberalisation has indeed worked. ‘‘By opening the economy before giving it a chance to become competitive, we have thrown our industry to the wolves,’’ it used to be said. Quite the contrary. The success in exports, in fields such as IT in which competition is fierce, in which technological change is fast as lightning, success in auto-components, in pharmaceuticals shows that our industry has fought back, it has become competitive. Remember all that shouting about Chinese batteries a year ago? ‘‘Markets are closing down, thousands are being thrown out of their meagre businesses, factory after factory has shut down.’’ That was the shouting just a few months ago. Where are those batteries from China? Yes, trade with China has grown—by 104% in the past year. But according to figures of the Chinese Government, in the first five months of 2003, India has amassed a surplus in its trade with China, a surplus of close to half a billion dollars. And China is just an instance. Exports as a whole, and in the face of an unrelenting recession in the West, have grown by 19 per cent in the year. In a word, what committees upon committees with their piles of recommendations would not have achieved, being actually exposed to actual competition has. Our foreign exchange reserves are at an all-time high—$82 billion. We have announced that we will not be taking aid from a string of countries. * We are giving aid to 10 or 11 countries. * We are pre-paying our debt. *We have just ‘‘loaned’’ $300 million to the IMF! How distant the days when we used to wait anxiously for the announcement about what the Aid India Club meeting in Paris had decided to give us. But there is the other side—equally telling. Why is it that so few among us know even the elementary facts about these successes? Why is it that so much of public, specifically political, discourse, when it is not whining is just wailing? Extremely good to read this re-post.. Thanks for sharing..